The cornerstone of the concord Collection is quality, and this semi flush is no exception. Combining a classic brushed nickel finish and posh styling, you will find no better way to highlight the charm of your home. With the superb craftsmanship and affordable price this fixture is sure to tastefully indulge your extravagant side. This item comes equipped with Swirl glass. The cornerstone of the Concord Collection is quality, and this incandescent semi flush is no exception. Combining a classic black copper finish and posh styling, you will find no better way to highlight the charm of your home. With the superb craftsmanship and affordable price this fixture is sure to tastefully indulge your extravagant side. This convertible semi-flush features a casual design with metalwork finished in brushed nickel and a beautiful white glass shade. Includes 6-ft of chain and 10-ft of wire for easy conversion to a pendant. Add a touch of class to any room with this handsome semi flush mount. Features a brushed nickel finish with white glass. 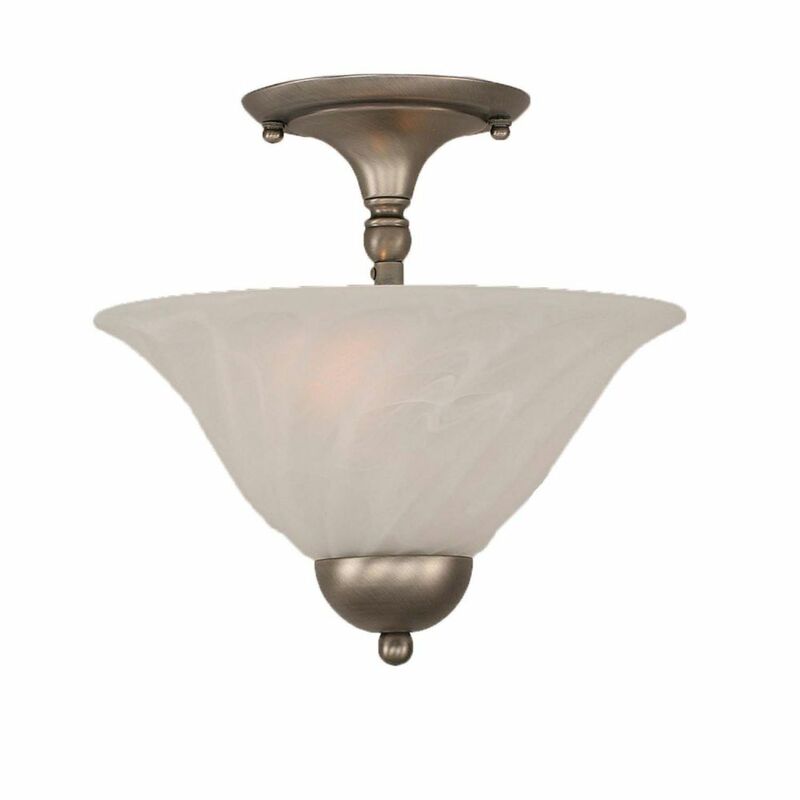 Concord 2-Light Ceiling Brushed Nickel Semi Flush with a Swirl Glass The cornerstone of the concord Collection is quality, and this semi flush is no exception. Combining a classic brushed nickel finish and posh styling, you will find no better way to highlight the charm of your home. With the superb craftsmanship and affordable price this fixture is sure to tastefully indulge your extravagant side.